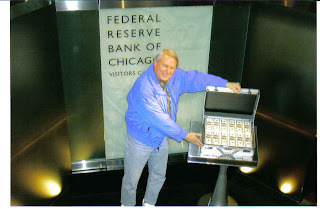 Jerry Maguire asked for it and Needtovent's own Robert A. Nowotny is happy to show the first one million dollars being sent off to some Wall Street tycoon under the inscrutable, insidious, insolent and insane government-induced $700 million (and counting) bailout plan. Insolvency for the fat cats never looked so good. Insurgency by the hard-working dogs from what was once called "the middle class" never looked so good either. Hey, up until the 1980s Bolivia had experienced more coup d'etats (both military and civilian-led) than it had years of existence as an independent nation. 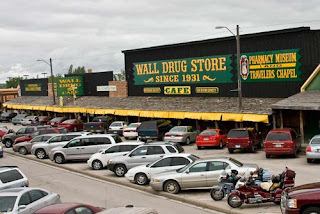 Maybe it's time for a little overthrow of the powers that be in both Washington and Wall Street by those of us who believe in traditional American values and a sense of fair play that can still be found at places like the Wall Drug Store in South Dakota. We once held a Tea Party that produced some pretty good results.